What is the Curious Class? People who make up the Curious Class are people from all walks of life - interested in the world, individuals, and things around them. They are interested in why that thing works like that. Why does this person smile in this moment? What&apos;s the reason why? The Curious Class knows that the education you get outside of school is just as valuable as anything you learned behind a desk. That said, both (and so many other things) are pretty great as long as it sparks an interest or new discovery. 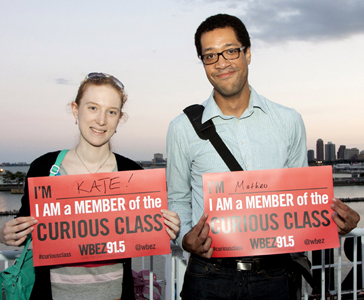 At WBEZ, we offer you our Radio for the Curious Class sm programming. 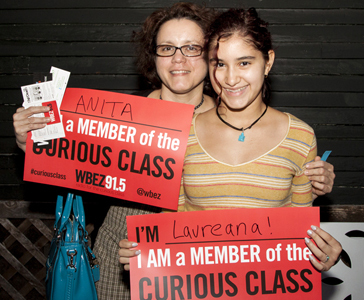 We collaborate with curious people, like you, to answer questions like "Where did the Chicago accent come from?" on our Curious City segment. Our reporters uncover the human impact of school closings or what it is like to be a rival gang member on the same high school football team. We find waste in the prison system that adversly effects lower income families in addition to showing what the city used to look like. 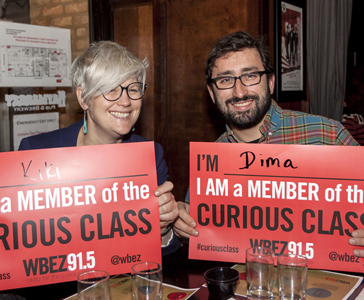 Radio for the Curious Classsm programming provides a range of stories and reports from all parts of the city and the world for people like you who are always interested in the next nugget or treasure that they didn&apos;t know before. Want to spend more time with Radio for the Curious Classsm folks? 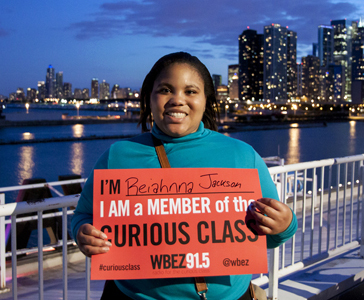 Follow us @wbez, Friend us or find out the latest each week.